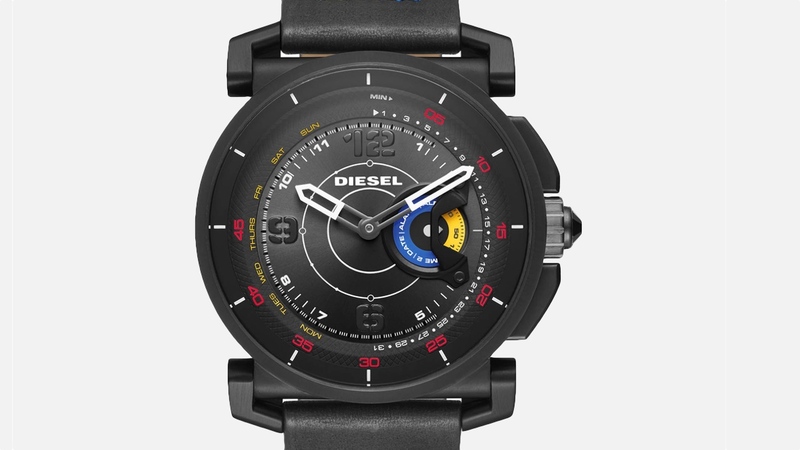 The Fossil Group looks on track to deliver the 100 wearables in 2016 it promised from across its fashion brands after launching more smart wrist wear that adds Chaps, Diesel, Emporio Armani, Michael Kors and Kate Spade to the connected collection. Unlike the Fossil Q Marshal or Michael Kors Access, these won't be packing Android Wear though. Instead they'll be more in the mould of the Skagen Hagen Connected and Fossil Q54 Pilot smart analogue watches. That means you can expect more subtle smartwatch features like a built-in vibration motor to give you a buzz when you receive an email or text notification. You can expect activity tracking tech developed by Misfit to be on board as well to count steps along with a progress dial baked into the watch face. Each watch will come with a companion smartphone app (iOS and Android) that shouldn't be too dissimilar from what we've seen with its Fossil Q range. So you'll be able to customise the type of notifications you get nudged about on the watch for instance. While all of the hybrid watches will largely have the same features, the designs will be unique to the brands. So in the case of the Kate Spade collection and the Metro Grand Hybrid smartwatch we covered recently, it'll feature champagne bubbles and 'cheers!' on the analogue watch face. So these wearables will still look and feel like a traditional watch. We don't have any official specs sheets or pricing for the new additions just yet, but we'll update you when we know more. What we do know is that the Fossil Group is clearly not messing about when it says that all of its watches in the future will have some form of connected smarts. It's not all surprising when the stock of the fourth largest watch maker in the world has reportedly been in decline with the rise of the smartwatch said to have played its part in that decline. According to WatchPro, sales of its Michael Kors smartwatch have overtaken traditional watch sales in the UK, so it looks like the big smartwatch push is paying off. We'll hopefully be getting our hands on a few of these new Fossil hybrid smartwatches in the not too distant future to see if they're worth the upgrade.